The trusted veteran leader on Florida State’s offense in 2013-14, the two-time All-ACC First Team selection’s name is all over the ACC and FSU record books…holds the FSU career records for receptions (270), receiving yards (3,830) and consecutive games with a reception (43)…career receiving yardage is also the ACC record…his 49-yard catch-and-run on the final drive of the 2013 BCS National Championship put FSU in position for the winning score…made 43 career starts. Wrapped up his career as one of the greatest wide receivers in Florida State and ACC history…is FSU’s career leader in receptions (270), receiving yards (3,830) and consecutive games with a reception (43)…his receiving yardage mark is also the ACC record…holds the FSU single-season record for receptions (99) and his 1,365 receiving yards is the second-highest total ever by a Seminole…led the ACC receptions, receiving yards, receptions per game (7.1) and receiving yards per game (97.5)…ranked in the Top 15 nationally in receptions (9th), receiving yards (8th), receptions per game (12th) and receiving yards per game (15th)…also ranked second in the ACC and 18th in the nation with a 10.7 punt return average (15-160)…two-time All-ACC First Team honoree by the coaches and media…Biletnikoff Award semifinalist…four-time ACC Receiver of the Week …had eight 100-yard games…led FSU past Georgia Tech in the ACC Championship Game by recording seven catches for 123 yards and two touchdowns, including a 44-yard touchdown and a 9-yard score in the second quarter…had 106 yards on eight receptions versus Boston College…totaled a career-high 13 receptions for 136 yards and a score against Virginia…had eight catches for 108 yards and a 10-yard touchdown versus Notre Dame…totaled 107 yards on six catches at Syracuse where he became the Seminoles’ all-time leader in receptions…tallied 11 receptions for 125 yards and the go-ahead four-yard score in the third quarter at NC State…made nine receptions for 135 yards and the game-tying 74-yard score with 6:04 left in the fourth quarter of FSU’s overtime victory against Clemson…opened the season by catching 11 passes for a career-high 203 yards and a game-sealing 50-yard fourth-quarter touchdown versus Oklahoma State in the Cowboys Classic in Arlington, Texas. Will enter his senior season having already put together one of the finest careers ever by a Florida State wide receiver…ranks fourth in FSU history in career receptions (171), sixth in receiving yards (2,465) and tied for seventh in receiving touchdowns (22)…is the ACC’s active leader in touchdown receptions…tallied the second-most receptions in a season ever by a Seminole (76) in 2013 and became the first FSU player to gain 1,000 receiving yards (1,128) since Anquan Boldin in 2002…FSU’s leading receiver for the third consecutive season is also a respected veteran leader and one of four permanent captains named by head coach Jimbo Fisher for the 2013 season…ultra-quick receiver can turn a slant into a 60-yard score…captured All-ACC First Team honors from the coaches and media…finished fifth in the conference in receptions and receiving yards…added nine touchdown catches…has caught a pass in 29 consecutive games, dating back to his MVP performance in the 2011 Champs Sports Bowl…torched Auburn for nine receptions and 147 yards in the BCS National Championship Game at the Rose Bowl in Pasadena, Calif….caught first two passes of game-winning drive, an eight-yard reception on first-and-10 and a game-breaking 49-yard catch-and-run that took the Seminoles from the FSU 28-yard line to the Auburn 23-yard mark with 1:05 to go in the game…also drew a crucial pass interference call on third-and-8 from the Auburn 10-yard line with 21 seconds left that gave Florida State a first down…was Heisman Trophy winner Jameis Winston’s favorite target from the season-opener, making eight receptions for 126 yards and a score at Pitt…had five 100-yard receiving games in 2013…earned ACC Receiver of the Week honors following an eight-catch, 146-yard, two-touchdown performance in FSU’s upset of then-No. 3 Clemson in “Death Valley”…caught a touchdown in season’s first five games…had four grabs for 90 yards and a score at Boston College…had four catches for 108 yards versus Maryland…had eight receptions for 137 yards and one score against NC State. 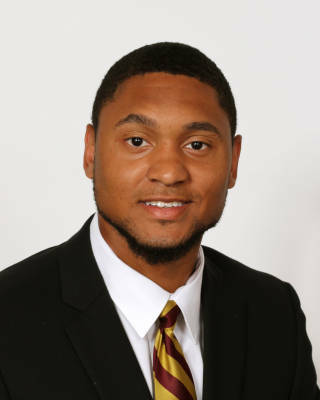 Sophomore wide receiver who led the Seminoles in receptions, yards and touchdowns for a second consecutive season…played in all 14 games and made 13 starts in 2012…season worksheet showed 57 receptions for 741 yards and six receiving touchdowns…also saw time as a punt returner, where he ranked third nationally by averaging 15.4 yards per return…scored the Seminoles’ first touchdown of the season on a 47-yard punt return against Murray State in the opener…two weeks later returned a punt 60 yards for a score against Wake Forest…is the first Seminole since Peter Warrick in 1999 to score receiving, rushing and return touchdowns in a season…scored nine touchdowns in all, including a 10-yard run on an end-around at USF…was especially productive down the stretch with 37 receptions for 487 yards and five touchdowns over FSU’s last seven games…his 39-yard catch and dash with an EJ Manuel pass delivered FSU the game-winning touchdown with 40 seconds remaining in a 28-22 triumph at Virginia Tech…finished the game with six receptions for a season-high 125 yards and two TD’s against the Hokies…had a season-high nine receptions (82 yards) in the ACC Championship game win over Georgia Tech…grabbed a 6-yard TD reception with only 11 seconds to go in the first half of the Orange Bowl against Northern Illinois, finishing with five receptions for 45 yards…caught at least one pass in all 14 games. One of the nation’s most explosive freshmen receivers before an injury untracked a possible record-breaking season…named Most Outstanding Player of the Champs Sports Bowl after hauling in five catches for 99 yards and a 15-yard touchdown – all in the second half in helping rally FSU to the win over Notre Dame…named to the ACC All-Academic Football Team…earned CFN Freshman All-American honorable mention honors…despite missing four games due to an Achilles injury Greene still led FSU in catches (38), receiving yards (596), touchdown receptions (7), receiving yards per game (66.2) and also hauled in the longest pass of the season (69)…left his mark as one of the best freshman receivers in FSU history posting the second-most receptions (38), receiving touchdowns (7) and third-most receiving yards (596) by a freshman…ranked among the top five freshmen nationally in receiving touchdowns…ranked third on the team with an average of 15.7 yards per catch….would have ranked fifth in the nation for receiving yards per game among freshmen but he missed time due to injury…played in just nine games and earned starts against Oklahoma, Clemson and Wake Forest…just the sixth freshman receiver in FSU history to record a 100-yard receiving game…joined with fellow freshman Christian Green to surpass 100 receiving yards in the game versus Wake Forest as the pair became the first freshmen in FSU history to record 100 receiving yards in the same game…after his performance versus Wake Forest he now owns the freshman single game receiving record with 163 yards…became the first FSU freshman in 35 years to catch a 50-yard pass in back-to-back games and first Seminole since 1998 to catch a TD pass of 55 yards or more in consecutive games…Greene is the first FSU player since 2000 to catch a TD pass in five straight games…currently second all-time at FSU for TD receptions by a freshman, fourth for all-time receiving yards by a freshman and fifth for receptions by a freshman…started his FSU career by catching a TD pass on his very first play…went on to catch a touchdown in the first five games he played…registered career-highs in receptions (12) and yards (163) at Wake Forest…his 69-yard touchdown grab against CSU was the longest reception for a touchdown by a Seminole since Rod Owens’ 98-yard score versus North Carolina in 2009…caught a team-best eight balls for 98 yards and a score at Clemson…tied the Oklahoma game at 13-13 with a 56-yard touchdown catch-and-run on third-and-28 with 9:32 remaining…first career start came against Oklahoma…sat out of Duke, Maryland, NC State and Boston College games with an injury…earned one of six freshman academic awards for his work in the classroom and voted a Top Newcomer on offense at the team’s annual banquet…named to the All-ACC Academic football team…also was selected CFN Freshman All-America honorable mention. Speedy four-star receiver who starred for perennial state and national power St. Thomas Aquinas…ranked as the No. 10 wide receiver nationally by Scout.com, No. 20 by 247Sports and No. 29 by Rivals.com…No. 125 on the ESPNU 150 and No. 20 wide receiver nationally by ESPN…had 43 receptions for 943 yards (21.9 yards per catch) with 13 touchdowns as a senior…came up big in the 2010 Class 5A State title game with six receptions for 148 yards and two touchdowns — including a title-clinching 74-yard pass in the fourth quarter as St. Thomas Aquinas defeated Tampa Plant 29-7 and finished with a No. 3 national ranking…tallied 31 catches for 510 yards and 10 touchdowns as a junior, helping St. Thomas Aquinas to a state title…First Team Sun-Sentinel All-Broward County as a senior…No. 30 on Bill Buchalter’s 2011 Florida Top 100 for the Orlando Sentinel…All-Broward County First Team by The Miami Herald as a senior and All-Broward County Second Team as a junior…No. 94 on Mobile Press-Register Super Southeast 120…No. 17 on the SuperPrep Florida 110…member of the Florida Times-Union’s Super 75 where he was rated as the No. 5 wide receiver…also a standout track & field athlete in sprints and jumps in high school…coached in football by South Florida icon George Smith at St. Thomas Aquinas.